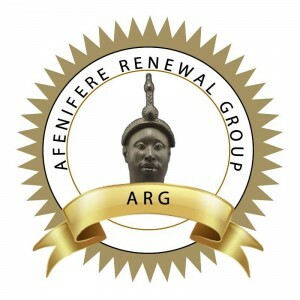 The pan-Yoruba socio-political organization, Afenifere, has disclosed how a National Leader of the All Progressives Congress, APC, Bola Tinubu and some state governors betrayed the South West region in 2005. Yinka Odumakin, National Publicity Secretary of Afenifere said Tinubu and some state governors betrayed the South West region during the 2005 constitutional conference. Odumakin said Tinubu rejected the Yoruba agenda during the constitutional conference. Speaking with Daily Independent, Odumakin said, “The President of Ohanaeze, Chief John Nwodo, said to Chief Bisi Akande at the 10th memorial of Senator Abraham Adesanya that if elders like him can no longer speak the truth because of APC card, Nigeria is in deep trouble. “In like manner, I will say if an elder statesman and veteran journalist whose words people should swear with like Prince Momoh begins to deal in low-quality rumours and fake lies, Project Nigeria is doomed. “We were all in this country in 2005 when the political conference took place. “All delegates to that conference were handpicked by the government. “The leaders of the regions were not allowed to pick their delegates as governors did the picking. “Leaders of Yoruba tried to influence the governors as PDP controlled five states then, except Lagos. “We had a meeting with the PDP governors in Ladoja’s office in Ibadan. Gen Alani Akinrinade, Senator Olabiyi Durojaiye, and some of us were there. “The governors agreed to set up a Technical Committee headed by Chief Richard Akinjide, myself, Mr. Jimi Agbaje, Mr. Remi Olatubora, and about 10 others. “We met for three days at the University of Ibadan and got our report ready, mirroring the agreed positions of Yoruba for the conference. “We went back to the governors in Ibadan and met a totally hostile bunch who rejected all key ingredients of Yoruba agenda and they would not consider anybody who would not toe their line as a delegate. “We left them realizing they were not going to follow the Yoruba agenda. “Otunba Gbenga Daniel offered to keep the Technical Committee to keep the pressure on delegates in Abuja. “But those of us who were independent of the governors declined further participation as our chairman had already openly disowned our report and the governors were going to play their game. “Leaders of Yoruba retreated and empowered a committee to launch the Yoruba agenda rejected by the governors. “Our Committee, headed by Ambassador Olu Otunla, launched the document at Okokan Stadium with Yoruba leaders in attendance to let the world know our stand. “Aside from the PDP governors who frustrated the agenda, Afenifere also accused Asiwaju Bola Tinubu, who was the only governor then in the opposition, of moving against the agenda by producing a Lagos agenda. “The Lagos State which was not under PDP which should have at least been a fall back was not there as Tinubu also rejected all main planks of Yoruba agenda and produced a Lagos agenda.